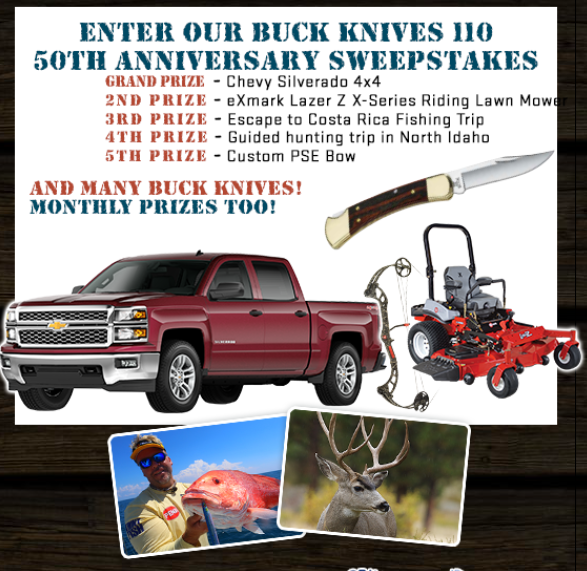 Win a Silverado in Buck Knives 110’s 50th Anniversary Sweepstakes! Interested in winning a brand new Chevy Silverado 4×4 worth $40,000? Then enter Buck Knives 110’s 50th Anniversary Sweepstakes before it’s too late. 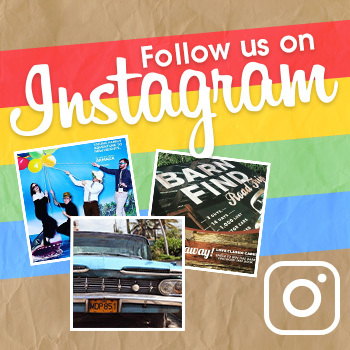 There will be five grand prizes given out in total, including the 2014 Chevy Silverado, as well as an eXmark Lazer Z X-Series Riding Lawn Mower ($15,000), a guided hunt for two for whitetail at Boulder Creek Outfitters in Idaho ($7,500), a fishing trip for two to Crocodile Bay Costa Rica ($5,000), and a custom PSE bow ($1,350). You can also win monthly prizes during Buick Knives 110’s 50th Anniversary Sweepstakes, which include different packages for fishing, hunting, and survival gear. To enter the sweepstakes, you must be a citizen of the United States or Canada (-PQ) and 18 years or older. The sweepstakes opened last year on November 15, 2013, and will only remain open until November 1, 2014, at 11:59pm ET. That makes this month the last month to enter! You can enter online 3 times a day.